My son, Dave, took this photo just for the Sunday blog post in Colo, Iowa. 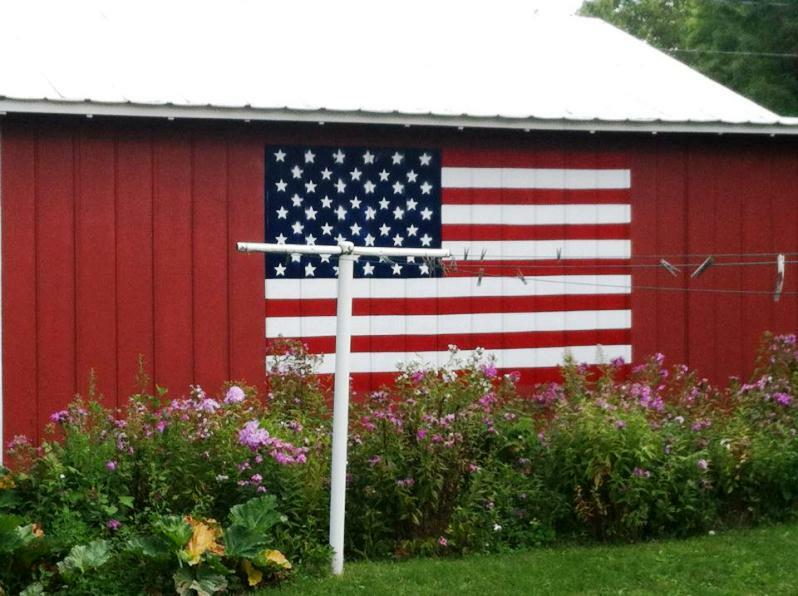 And it's pure Iowa...the red barn, flag, clothesline, the garden phlox and rhubarb. Perfect !!!!! have a wonderful day. Totally representative of simpler, more traditional, old-fashioned, home and family-centered times. Love it! Thanks to all of you for the nice comments.